As much as I want to motivate the kids to help around the house, keeping track of a sticker chart does my head in! Argh! So I came up with a simplified version that is a breeze to keep on top of. The kids love the element of surprise and I love how simple this system is to use. Have the kids join in during the DIY portion of the project. 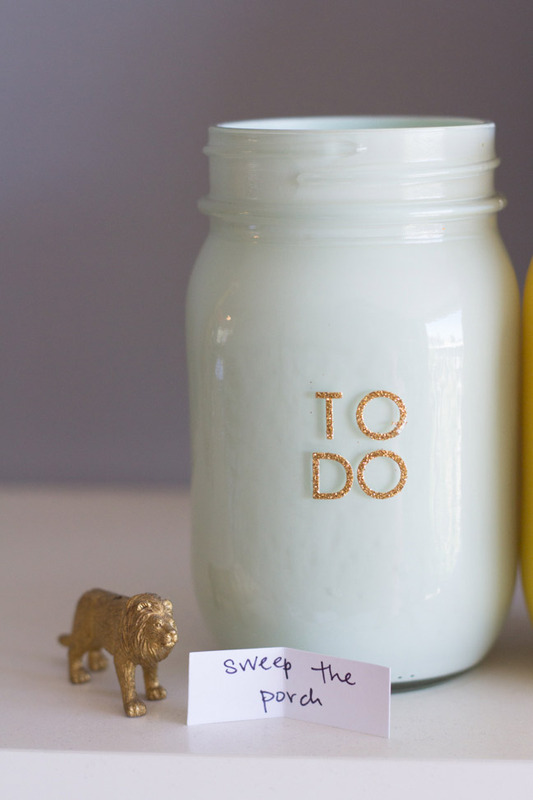 Then you can use the jars to help get a system going of to-dos around the house along with fun prizes when the kids have done their duties. 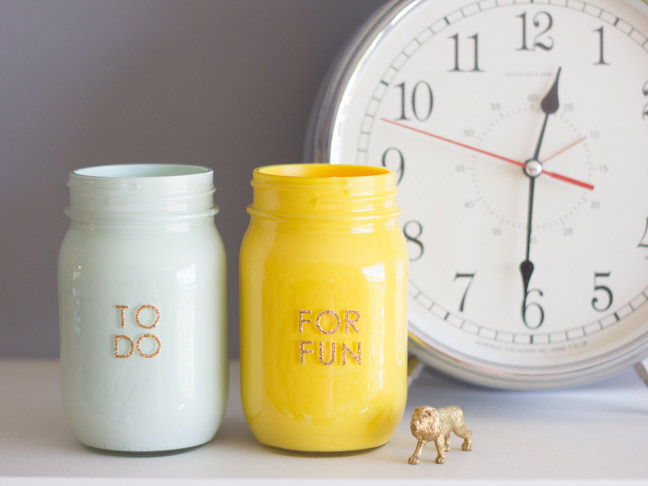 Use your favourite colours and coordinate the jars with your home so that they also serve as decoration. 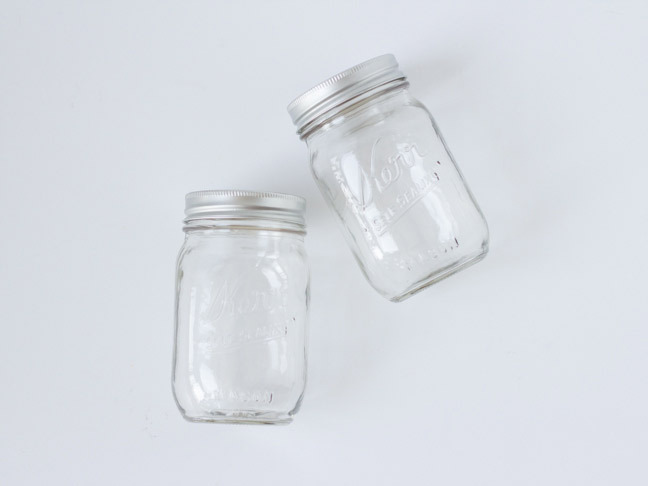 Step 1: Start by wiping out the insides of your mason jars and being sure they’re clean and dry. 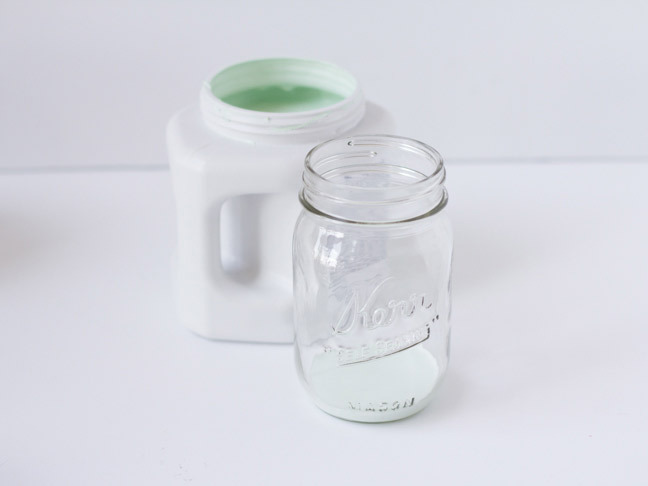 Step 2: Pour a small bit of paint (about 1 cm) into the bottom of the first mason jar. 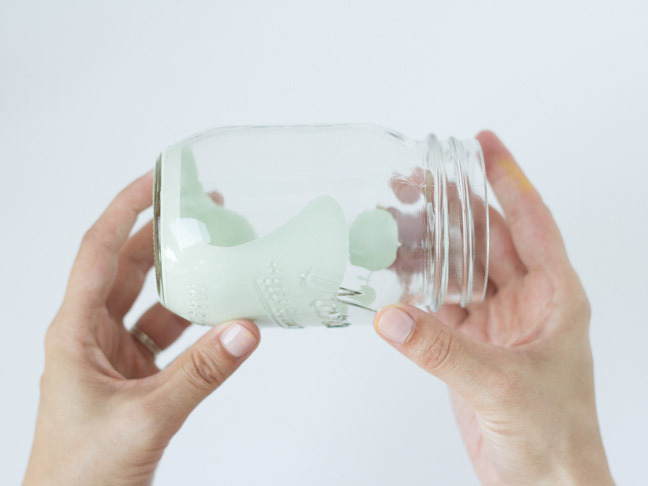 Step 3: Swirl the paint around slowly until the entire inside of the jar is covered, adding more paint if needed. Step 4: Drain the excess paint back into the paint container. Step 5: Repeat the process on the other jar in another colour. 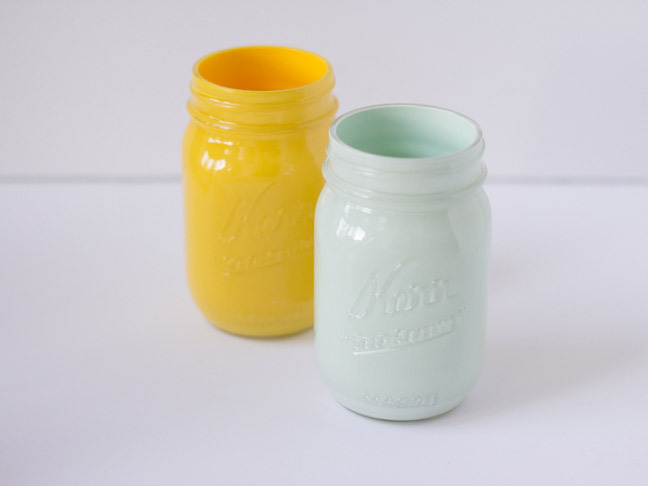 Allow the jars to fully dry and cure in a well-ventilated area for a few days. 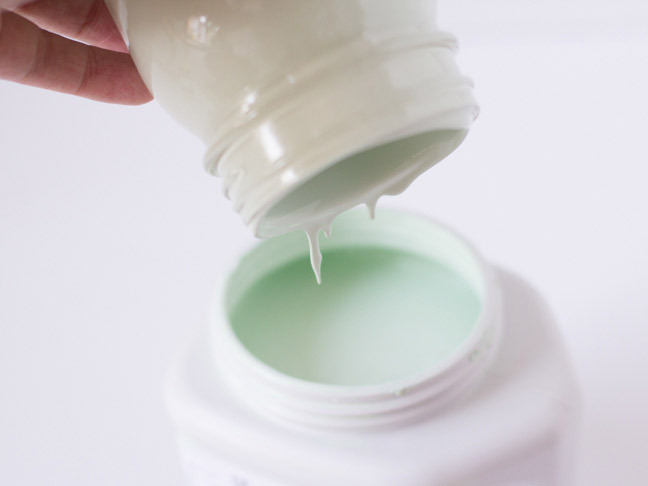 It’s a thick layer of paint, so don’t skimp on drying time! 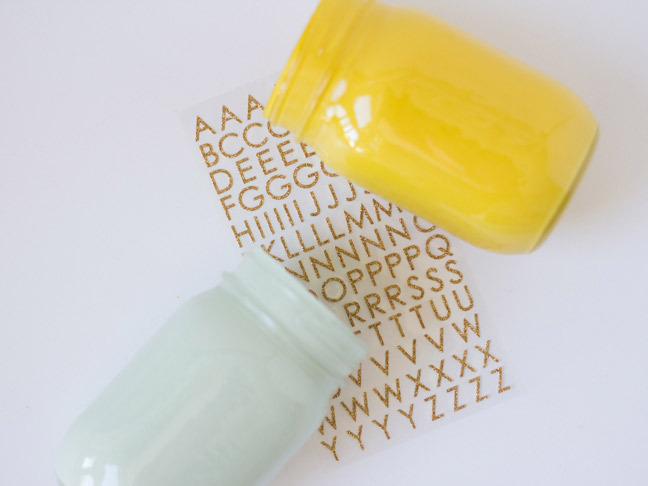 Step 6: Using your letter stickers, spell out what’s inside of each jar. I liked “To Do” and “For Fun” because it was a little more exciting than “Chores” and “Rewards.” But spell out whatever you like! Step 7: Cut up small slips of paper. 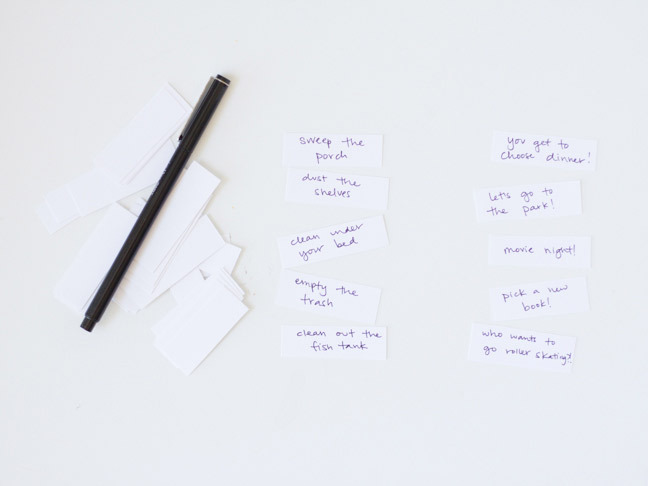 On one set, write out all of the chores that need to be done around the house that week or month. 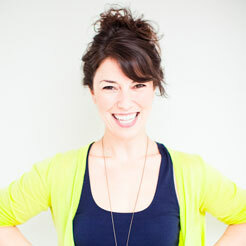 On the other set, write out a few rewards that your kids will love. Some great ideas are a new book, the opportunity to choose what the family eats for dinner, an extra 30 minutes of play time, and more. Be creative and think of the things your kids will love! 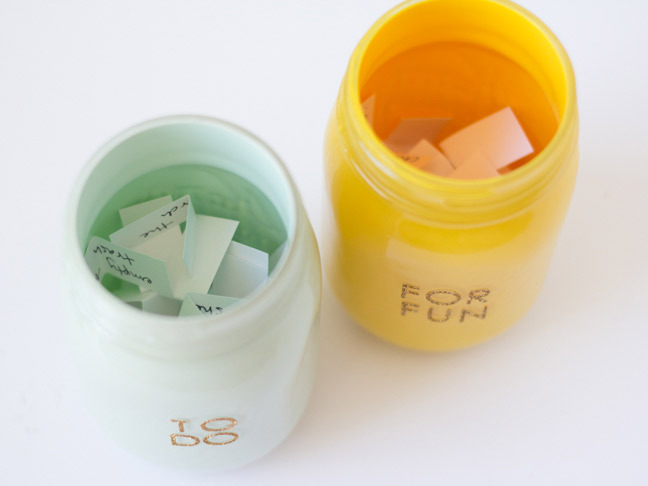 Step 8: Fill each jar with the corresponding papers, folded in half. Step 9: Set the jars out and let the kids get picking! 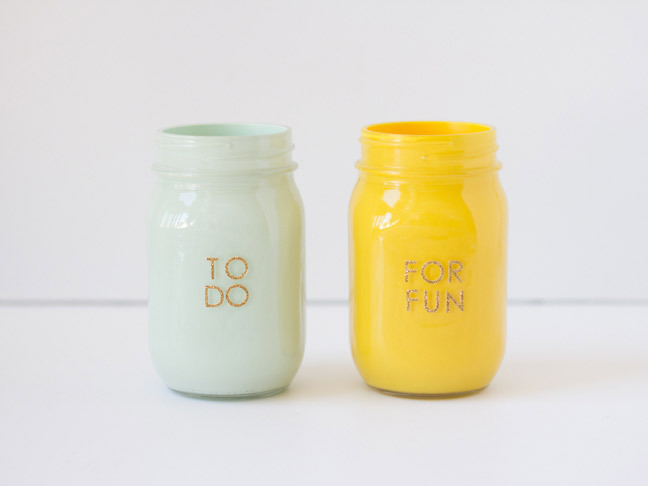 Any time a chore needs to be done (or a consequence needs to be doled out), have them pick from the chore jar. 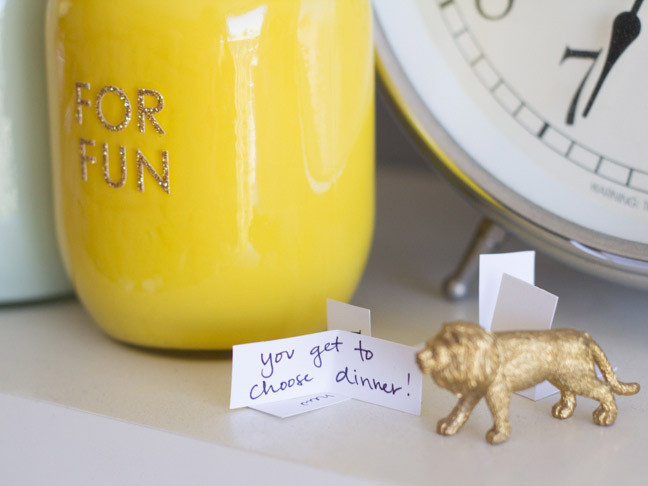 If they’ve had a particularly great day or week, let them pick a reward. Good luck!